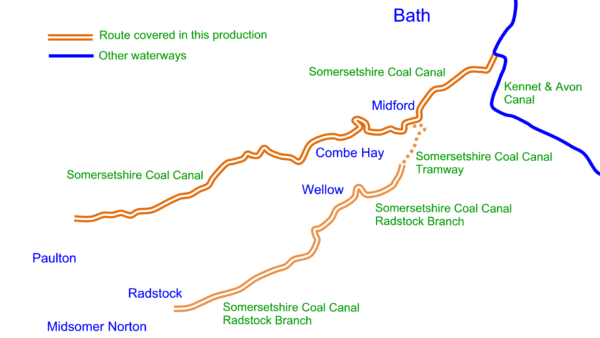 The Somersetshire Coal Canal was opened around 1800 and ran from Paulton to join the Kennet & Avon Canal near Bath. The Radstock Branch ran from Radstock but was only joined to the main line by a tramway. Route covered by my Somersetshire Coal Canal Maps. The canal closed in 1902. Restoration started around 2014 with proposals to restore the main line to Paulton. I have added Somersetshire Coal Canal Maps to the range of free maps I produce for restoration projects. Extract from my Somersetshire Coal Canal Maps. 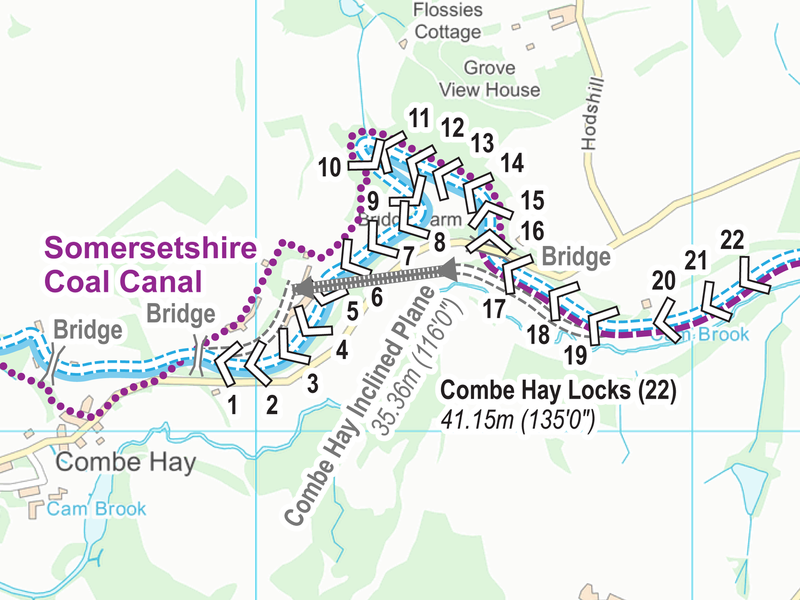 Visit my Somersetshire Coal Canal Maps page to download the free map in a choice of Acrobat (pdf) and Memory-Map (qct) formats. 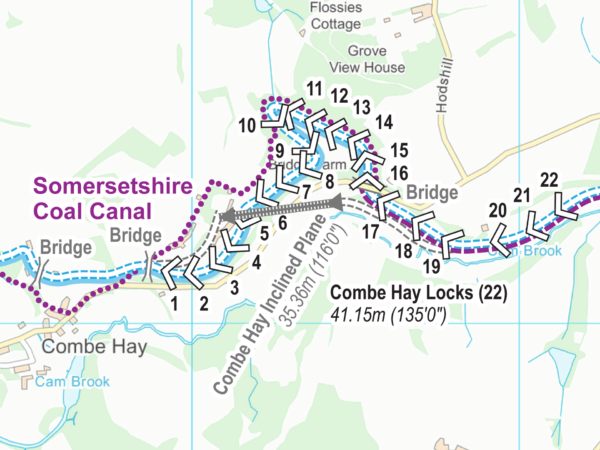 This entry was posted in Blog, Somersetshire Coal Canal, Somersetshire Coal Canal Maps by Paul. Bookmark the permalink.